Adjunct professor Dr. Kevin Chen and Professor Bruno Sergi of Harvard University co-authored a chapter: How Can Fintech Remake Russia’s Development? 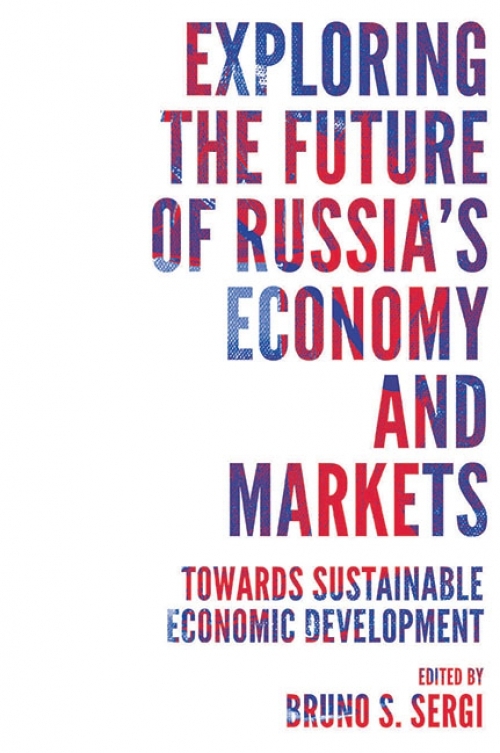 in Exploring the Future of Russia’s Economy and Markets: Towards Sustainable Economic Development, by Publisher:Emerald Publishing Limited in November 2018. 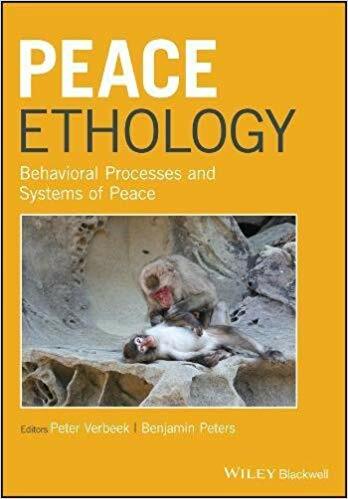 Adjunct professor Todd Walters co-authored a chapter with Saleem H. Ali entitled The Experiential Peacebuilding Cycle: Grassroots Diplomacy, Environmental Education, and Environmental Norms in the edited book Peace Ethology: Behavioral Processes and Systems of Peace. Prof. Walters has partnered with the CGA in the past on the Global Field Intensive course to Costa Rica and Panama, and is excited to be teaching Conflict Assessment this fall. 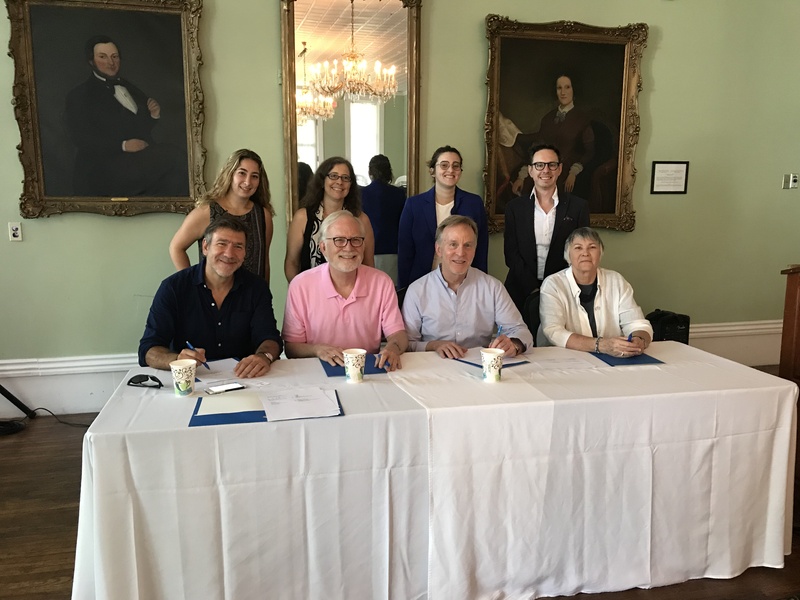 Professor Jennifer Trahan attended, from August 26-29, with CGA students Taylor Ackerman, Alejandro Hoyos and Yara Sayegh the Twelfth International Humanitarian Law Dialogs, on Lake Chautauqua New York. The conference hosts the various international and hybrid criminal tribunal prosecutors for 2 1/2 days of lectures on topics of international justice. NYU Center for Global Affairs is a co-sponsor of the Dialogs. 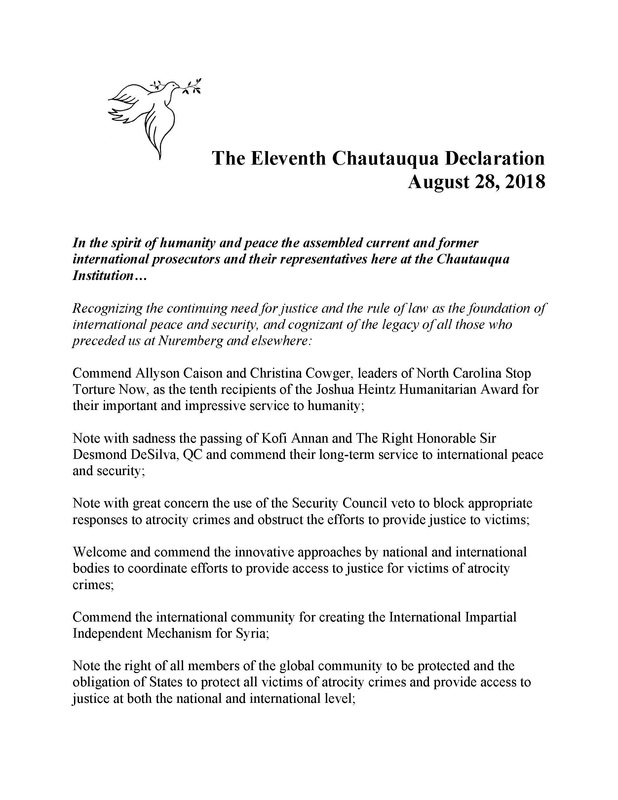 During the Dialogs, Professor Trahan delivered a speech entitled “Legal Limits to the Veto in the Face of Atrocity Crimes.” After the speech, the Prosecutors in attendance adopted the Eleventh Chautauqua Declaration that “[n]ote[d] with great concern the use of the Security Council veto to block appropriate responses to atrocity crimes and obstruct the efforts to provide justice to victims.” The declaration was signed by former Founding Chief Prosecutor of the Special Court for Sierra Leone David M. Crane; former Chief Prosecutor of the Special Court for Sierra Leone and Prosecutor of the Residual Special Court for Sierra Leone Brenda Hollis; and on behalf of International Criminal Court Prosecutor Fatou Bensouda and Prosecutor of the Mechanism for International Courts and Tribunals Serge Brammertz. 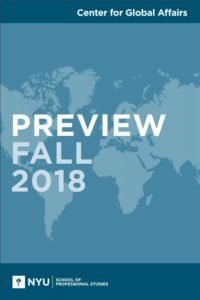 Professor Trahan also had her remarks from last year’s Eleventh Dialogs published by the American Society of International Law (ASIL) in The Proceedings of the Eleventh International Humanitarian Law Dialogs.